Product prices and availability are accurate as of 2019-04-14 13:30:07 UTC and are subject to change. Any price and availability information displayed on http://www.amazon.com/ at the time of purchase will apply to the purchase of this product. 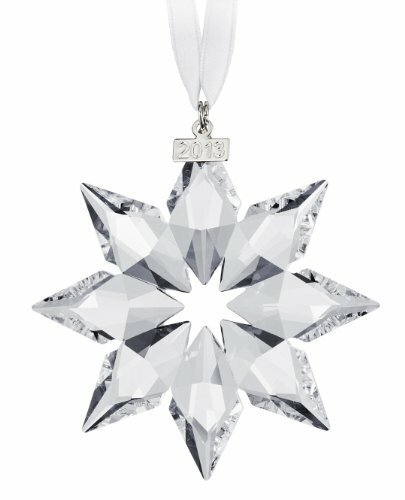 Commemorate the year of 2013 with an elegant limited-edition crystal ornament from world-renowned Swarovski. Highly anticipated each year as the holidays approach, the annual crystal ornament is an avid collector's dream and a first-timer's treasure. Hand crafted in Austria from the finest clear crystal, the star hangs from a white satin ribbon with a silver-toned metal tag engraved with "2013". 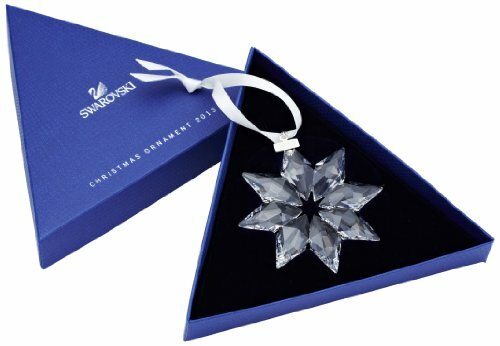 2013 holiday note: Swarovski no longer provides certificates of authenticity for their annual Christmas ornaments.